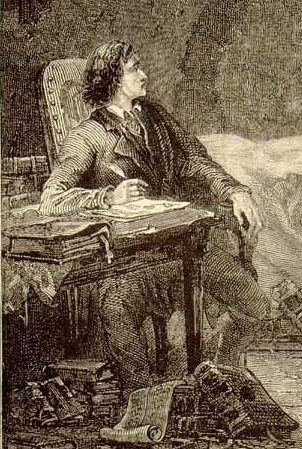 Although most think about Jean Valjean and Javert when considering Victor Hugo's Les Misérables, or even Cosette, the student and attorney Marius Pontmercy (illustrated here by Fortuné Méaulle) is not to be forgotten. Of course, even Javert finds him forgettable when he comments that "a lawyer can be hunted up at any time." But in a story driven so much by notions of justice and the good and vengance, it is (at least, in my view) a delight to see that the lawyer-liness of Marius does not get in the way of his humanity. He and Cosette rush to reconcile with Valjean when he discovers near the novel's end that Valjean has been a friend, not a foe, as his prejudice had assumed. It's a thick work, in translation, and one that seems more popular as a musical adaptation. But Marius (inspired by the request of my former student and research assistant, Ryan Killian), is the Fictional Attorney of the Month.